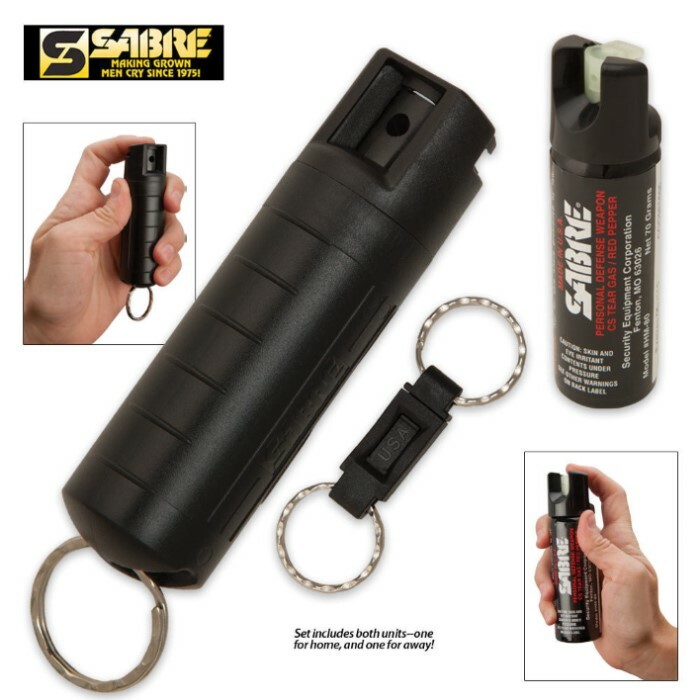 Each Sabre Pepper Spray Kit is equipped with two self-defense sprays, a home unit and key chain case for use on the go. The home unit features a glow-in-the-dark safety for locating within dark rooms. Sabre's black key case addresses the "Away" need with its quick release key ring and clip attachment. This compact attractive model can be attached to your keys or carrying bag for immediate accessibility. Both "Home" and "Away" models deploy 8 - 10 feet and contain multiple blasts for protection against more than one attacker. 7 5/8 in. x 13/4 in. x 9 3/4 in.